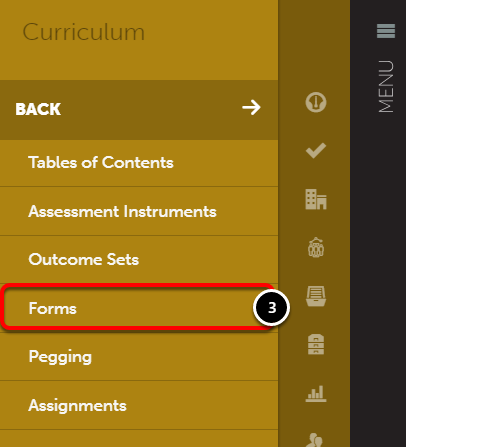 This lesson will teach you how to create a form. Forms are used to create general surveys such as prior experience, attitude and opinion scales (e.g. strongly agree to strongly disagree), checklists (required documents, etc.) and to track field experiences. 2. 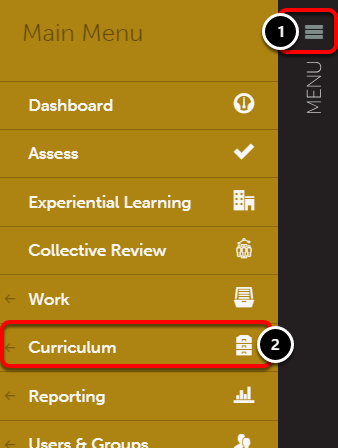 Select the Curriculum menu. 4. Click the Create New Form button. 5. Enter a Name for the new form. 6. Using the 'Type' drop-down menu, select the Type of form that you would like to create. 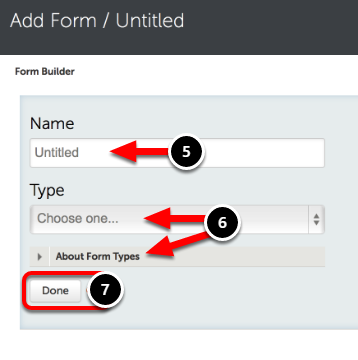 If you are uncertain of which form type you should select, click on the 'About Form Types' button. For additional information, visit our Types of Forms help page. If you are creating a form for use with a Field Placement, you MUST select the Survey form type.